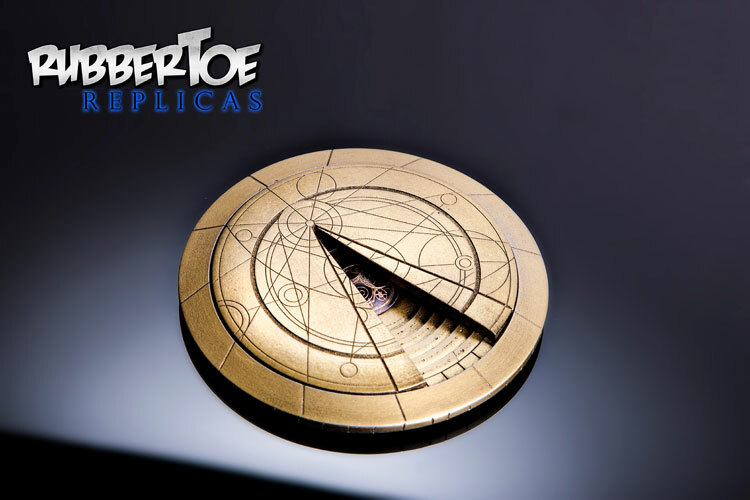 As shown in the season opener, The Magician’s Apprentice/The Witch’s Familiar, the Doctor fears his own death, and so has created a ‘Confession Dial’ which when opened will reveal his greatest secret. What mysteries will the Confession Dial eventually reveal?! 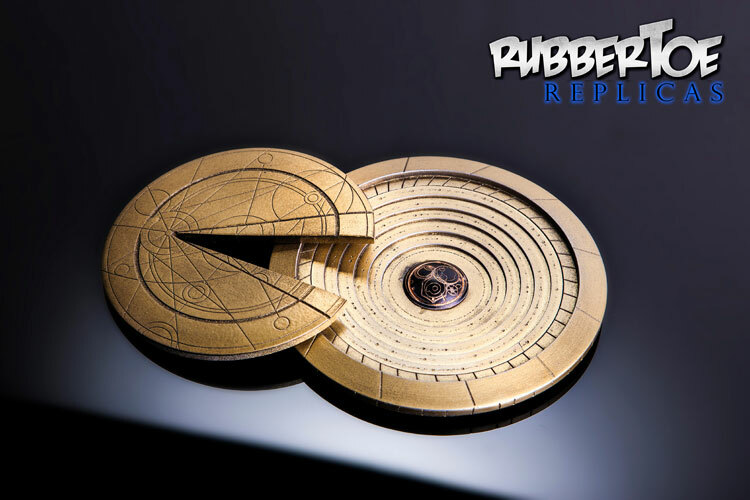 The original prop was made by talented Doctor Who prop maker, Paul Lynch, and as you would expect from a Rubbertoe product, our replica is made in exactly the same way as the screen used version. The open version of the Confession Dial is cast from ABS resin, and then hand painted and art-worked to a beautiful aged finish, and is a stunning piece both as a prop replica and a piece of decorative artwork in its own right. Neat item,Equisite,they make lovely item,i bought the tardis cube which was lovely,i want this. On my Christmas List, really want it. Huh, the inside didn’t look like that in the episode? Pretty dark, considering what’s inside……..
I’m guessing since this has been already produced then the new sonic might be on its way! He’ll be taking orders for the new sonic in a few weeks! I don’t need it. I don’t need it. I don’t need it. Great Spongebob reference right there my friend.